As the temperatures continue to drop and the holiday season grows nearer and nearer, for most of us the kitchen becomes the heart of activity in our homes. From gathering with family to sit down for a tasty meal to hanging out with friends to enjoy a drink, our lives tend to center around staying warm and keeping our bellies full and happy! For many couples who have recently tied the knot this past spring and summer, what better way for them to learn a little bit about cooking (and one another!) than by testing out some new and adventurous recipes that let both of their unique personalities shine? From a tranquil dinner for two to a decked out Thanksgiving spread, grab the tools and ingredients and it's time to feast! Which is why right now is the perfect time for all of the couples who are still in the planning stages of their wedding to be sure to head to their nearest Target to browse, sign up and fill their Target Wedding registry! From home decor to games and electronics to items for entertaining (and everything in between), Target's wedding registry allows users to add anything from the store or Target.com to their wishlist. Why not start your new life together with all of the everyday essentials, necessities, splurges and things you'll both really use and love? But, along with the practicality, ease and convenience, registering at Target can also help couples bring both of their personalities to their Thanksgiving spread this year. Why not make your holiday a little more unforgettable and incredible just by using fantastic items your thoughtful guests purchased from your registry? 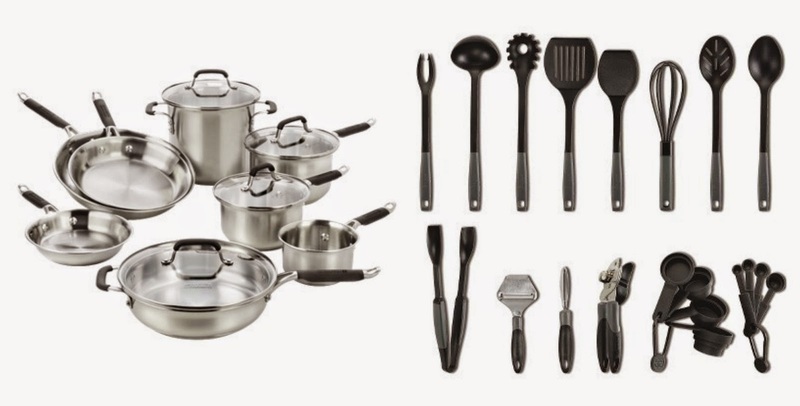 Step one, register for gorgeous and useful Calphalon Stainless Steel Cookware and the Calphalon Kitchen Essentials 20pc Utensil & Gadget Set and the two of you will be perfectly prepared to whip up all sorts of delectable dishes to wow your guests! But you're going to need a beautiful way to serve up your tasty meal, right? 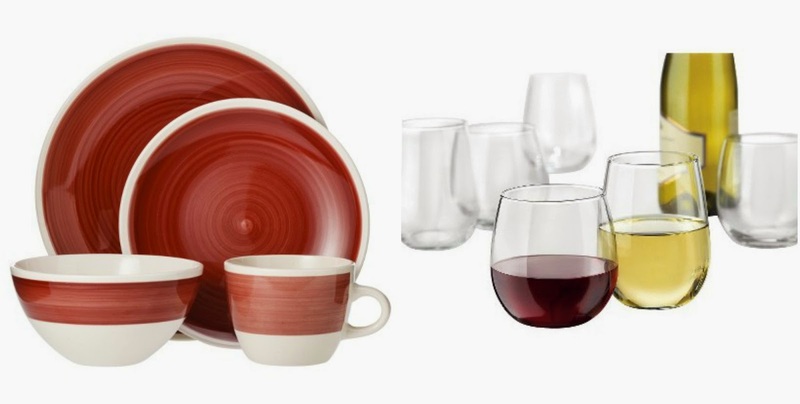 Step two, register for a Threshold Bistro Ceramic 16-Piece Dinnerware Set and the Libbey 12 Piece Red And White Wine Stemless Glassware set and your table will be ready to be set! What's left to top off your epic Thanksgiving? Creating the ambiance, of course! 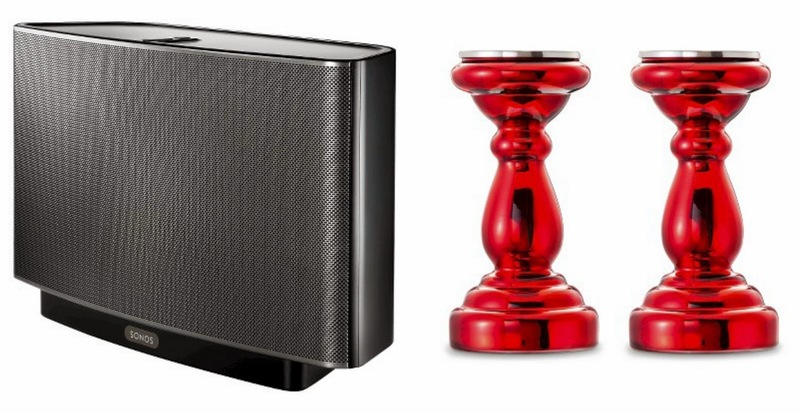 Step three, simply turn on your SONOS PLAY: 5 Wireless HiFi System to play some relaxing, holiday music and place a collection of Threshold Red Mercury Glass Pillar Candle Holders on the table and around your home and you'll have set the scene for a warm, memorable evening. 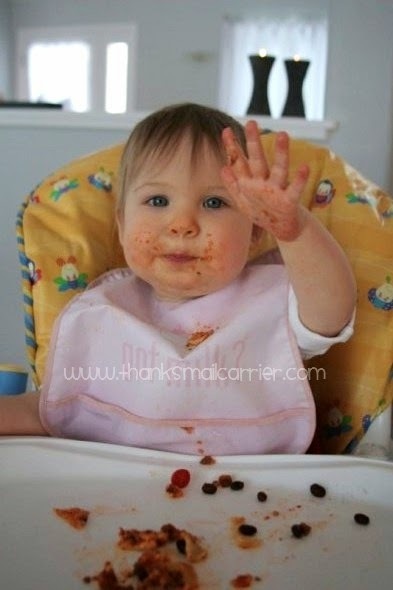 While my husband and I have had a variety of wonderful Thanksgiving experiences over the years, one that stands out in my mind was back in 2007 when Big Sister E was just over one year old. We had such a great time getting together with family and getting to see our little one excited about the gathering, the food and the overall fun of the holiday! No matter if you have Thanksgiving plans that are large and lavish or small and intimate, be sure to keep a Target Wedding registry in mind so that your family and friends can help you and your new spouse bring both of your personalities to the holiday. Your guests can shop in-store or online, returns and exchanges are simple, and you even end up with a bonus savings day after your wedding to pick up any items left at a discount. Find out more about all of Target's great registry options by visiting Target.com or visiting your local Target store today! 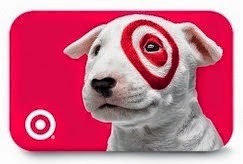 One lucky person will win a $25 Target gift card!